One of the World’s foremost experts in Security and Investigations, a Former Head of Royal Protection and Chief Superintendent (Divisional Commander) Metropolitan Police Service. Dai had a long and distinguished career with the UK’s Metropolitan Police Service, culminating with his appointment in 1995 as Operational Unit Commander in charge of Royal Protection for HM The Queen and the Royal Family. He was responsible for Palace and Personal Protection throughout the UK and worldwide. He inherited a command size of 450 personnel and a total resource budget of £26 million. Earlier in his police career Dai was responsible for, or was indirectly involved with, command and planning for the prevention of terrorism, public disorder, violence, gang disorder, alcohol abuse, fraud and other organised crime. He was also an expert in the control and use of firearms and was himself a firearms officer and advanced police driver. As an expert in Security and Investigation, he hold senior appointments and advisory roles with Oracle plc, BMW AG, Kingfellplc, Selectamark and with a number of high-net-worth individuals and families. 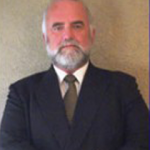 He works on international murder, kidnap and missing persons investigations; and provides both strategic advice and operational support on intelligence, security, protection, treat and risk assessment, His international experience includes incidents and investigations in the UK, the US, Mexico, Jamaica, Barbados, South Africa, Russia, Kuwait, Dubai, Australia, Japan, Macau and Hong Kong. Dai is an acknowledged media expert on security and crime issues and appears regularly on the BBC, ITV and in the national newspapers. Dai is Patron of Kidscape, the national children’s protection charity.